This is a study in the pathology of cultural criticism. By analyzing the thought and influence of three leading critics of modern Germany, this study will demonstrate the dangers and dilemmas of a particular type of cultural despair. 1. The politics of cultural despair : a study in the rise of the Germanic ideology. 2. 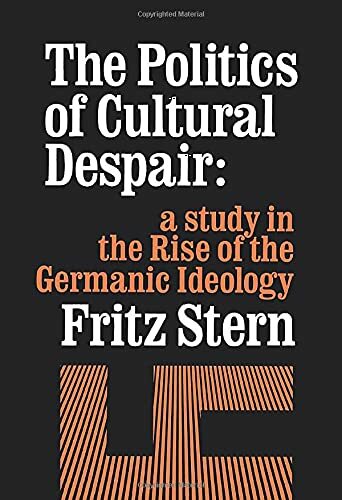 The politics of cultural despair: a study in the rise of the Germanic ideology.